all the best stuff for the discriminating parrot. Our mission at birdStuff™ is simple: To offer "all the best stuff for the discriminating parrot" and provide a boarding facility where "the only place safer is home." We want to show you that our uniqueness, planning, and hard work is truly in the best interest of you and your beloved pet bird. Once you can experience birdStuff™ you will see the difference and refer others like yourself that treat their birds like we do... family members. Our journey to provide the best for your bird has just begun. birdStuff™ will constantly evolve as we search for new, creative, and above all, safe toys and supplies. Please visit us and be part of the birdStuff™ experience. When you walk into birdStuff™, you will not feel like you are in a “typical” pet store-because you aren’t! Located in a lovingly restored 1950's home, birdStuff™ combines touches such as hardwood flooring and sunny yellow paint in the boarding areas, with state-of-the-art animal husbandry technology that you won't find at any other facility in the United States. This attention to detail will make your pet feel at home when you leave town and he comes for a little-or extended-stay. In our sunny, spotless retail area you can browse Orange County’s biggest variety of bird toys, supplies and goodies. Our approach to "toys" is different, too. 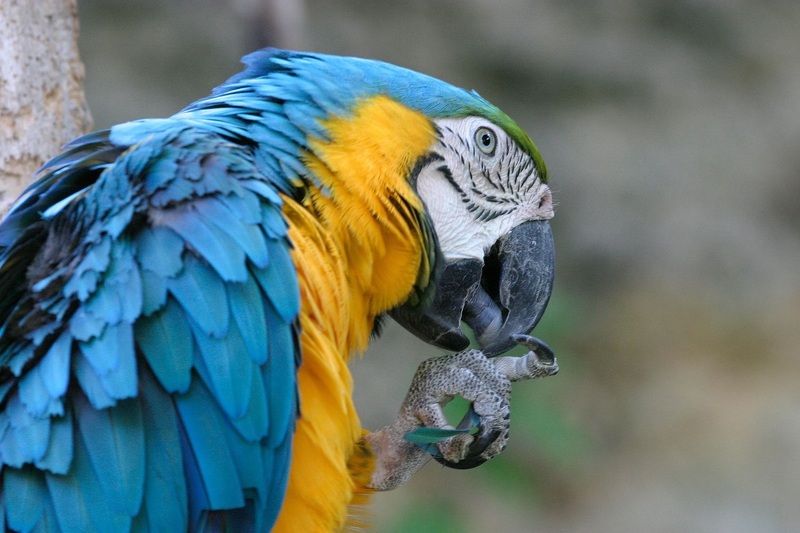 We take special satisfaction in assisting owners who say their bird "won't play with toys". All birds, including finches and canaries, posess natural behaviors that we humans might define as play. Our goal at birdStuff™ is to provide products that develop those abilities, stimulate curious minds and encourage exercise. At birdStuff™, you will find an amazing variety of toys sourced from all over the world along with suggestions for introducing them and "teaching" your pet to play. Many of our toys are interactive and refillable, and we offer a unique assortment of parts to build your own toys, including stainless steel kabobs and chains. Finally, we will consult with you to be sure the toys you select are safe for your particular bird. We carry hard-to-find hardware in stainless steel and other durable, safe materials. The professional, experienced staff is here to work with you on an individual basis and answer your questions and concerns.. We pride ourselves on individual attention given to each bird delivered with a personal touch. It is our stated goal to "send every boarder home in some way better than he came to us". Perhaps that means converting him to pellets, teaching him to enjoy his baths, or training him to stay on a perch stand. Establishing lasting relationships with you and your flock is our top priority. birdStuff™ has received two major industry awards-click here for full details. In December 2007, readers of BirdTalk magazine voted us the number one bird store in the US. And in July '08 we were chosen by the editors of Pet Product News magazine (the primary pet trade magazine) as one of the top twelve pet stores in North America! We are very proud of this recognition and want to thank each and every one of our customers without whom we would not exist. We promise to keep working every day to continue to earn your trust. birdStuff™ is the brainchild of Donna Garrou, who has been keeping birds for more than 30 years and avian veterinarian Larry Nemetz, DVM, (view http://www.thebirdclinic.com/ for a biography). Since 1987, Dr Nemetz has recommended healthy food products and safe toys to give his patients a better quality of life, as well as foraging toys to keep birds occupied when their owners are away at work. Dr. Nemetz wanted to be able to refer clients to a place where they could find the products he recommended, along with educated staff that could demonstrate their use, explain diet conversion, and other concerns related to the health and welfare of pet birds. Donna was having difficulty finding premium pelleted food, toys with safe metals, and healthy treats for her own birds. She also searched for a place where she could be confident that her birds were safe when she was away-and couldn't find a single place. She wanted a place where customers could find toys made by bird lovers instead of the same old mass-marketed products, and to be sure they were safe enough that she would be happy to use them for her own birds. She began to realize that the only way this could exist is if she created it herself! A plan was "hatched" to do just that. Once a building was located, plans were made to rebuild it to look like the original 1955 home but with all modern materials and current technology such as whole-house water filtration. These guys were NOT going to live in a typical dusty, buggy pet store. Therefore, for the store's seed line, a nitrogen-flushed product housed in barrier bags was developed so no moths would hatch at the store, or customer's homes. Next, the birds needed to be safe from disease, so special air circulation HVAC and HEPA filtration systems were installed along with a requirement that all birds that enter must be tested for the primary avian diseases (Chlamydophila, PBFD, Polyoma, Psittacine Herpes). Toy providers had to certify that they do not have birds on their premises. And, birdStuff™ would not sell birds or provide grooming services because of the potential for disease from the feather dust, feces, and nail residue of latent carriers. Of course, these precautions also mean that YOUR bird will be as safe as possible when boarding as will the products you purchase and take home. In 2013 Donna purchased the entire business and incorporated as Garrouzoo, Inc. to include birdStuff as well as her other venture, Kitty Kollar, (www.KittyKollar.com) a veterinary medical product that she has received two patents for. If all of this makes it sound like birdStuff™ is different..... IT IS! We believe birdStuff™ is the only bird facility of its kind in the United States or the world and we can't wait to show you why. birdStuff™ is proud to have achieved recognition from the industry and more importantly, our customers. We'll never stop working to earn your trust. Below you can read about some of the industry honors that we are very proud of. February 2018: Orange Coast Magazine included birdStuff™ in the “Orange Coast Pet Guide” as the only bird store in their top picks for Orange County pet lovers. 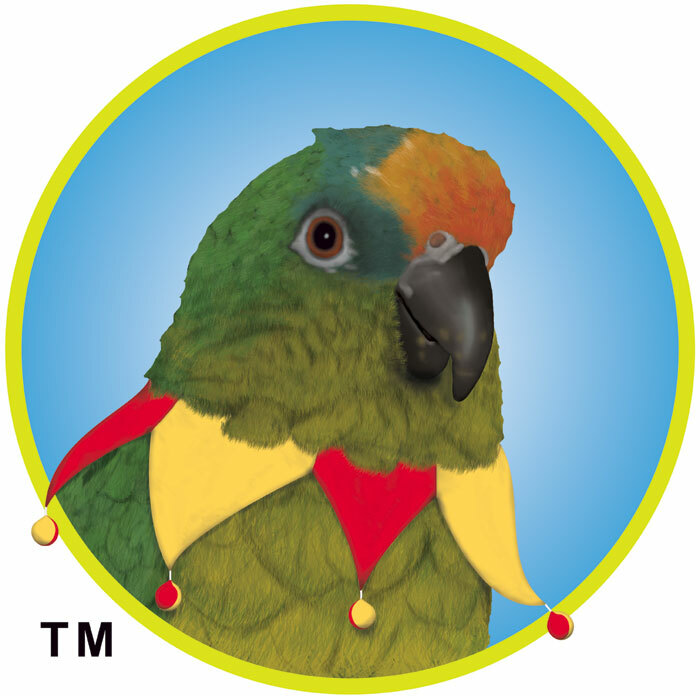 Parrot parents flock to this shop in search of high-quality toys, stainless steel cages, and organic formulated feed. Owner and certified avian specialist Donna Garrou opened the shop with the support of veterinarian Larry Nemetz, who operates The BIRD Clinic next door and wanted a place to refer his patients. Though birdStuff™ doesn’t sell birds, it does offer top-notch boarding, and Garrou’s own birds can be found modeling cages and testing toys in the shop. January 15, 2015: birdStuff™ featured in an article by CBS Los Angeles as one of five Best Pet Shops for Birds in Orange County. "Located in Orange, Birdstuff™ is a supply store and boarding home which offers “all the best stuff for the discriminating parrot.” They also pride themselves on being able to find toys for birds that “won’t play with toys.” Besides selling plenty of bird supplies, they will also board birds and provide them all with necessary care. This includes medical care, and the pet store is actually adjacent to a bird clinic with a veterinarian. On your bird’s last day of boarding, he can be bathed for his enjoyment and hygiene." We were pleased that the reporter captured our philosophy so well. December 2007: Readers of BirdTalk magazine, a national publication to over 100,000 bird owners, voted on their favorite bird store and we were voted as the #1 favorite! This means so much because it's the customers that voted. We didn't know you guys were voting, but you know who you are, so thanks a million! August 2008: Pet Product News, the leading trade publication in the pet industry, chose birdStuff™ as one of the top dozen pet stores in the US and Canada. birdStuff™ was chosen from among hundreds of applicants in a competition that scrutinized items such as best customer service, best promotions, best merchandising, community service, employee training, and many other criteria. This is a great honor because it means recognition from peers, manufacturers, marketers, and by reputation. Scroll down for press release. Irvine, Calif. – In its annual contest to find the best pet industry retailer, Pet Product News International, the leading monthly trade newsmagazine covering the issues and trends affecting all sectors of the professional pet industry, announced that birdStuff™ received one of the runner-up awards in its 2008-2009 Retailer of the Year contest. Pet Product News International will profile the retailer in the November issue of the magazine. Runners-up are granted a seat to serve on the Pet Product News International Retail Advisory Board as part of the honor. BirdStuff™ is located in Orange, Calif., and its owner, Donna Garrou, has more than 25 years’ experience keeping all species of birds and a strong marketing and product design background. The shop was recently voted by customers of Bird Talk magazine as one of the top 12 bird stores in the nation. The business does not sell birds, just bird products and gifts, but does offer grooming and boarding services. We recognize Garrou and birdStuff™ for successfully educating the bird-loving community. The Retailer of the Year Awards were created 12 years ago to recognize retail excellence in the pet industry. Candidates are initially selected from surveys distributed to retailers via the magazine and BowTie Inc.’s Retailer Sales force. Retailers are then reviewed and evaluated by a panel of Pet Product News International staff members on such criteria as employee training practices, promotion of companion animals and pet adoptions, involvement with professional and service organizations, innovative promotion, effective strategies in the marketplace, community impact and industry impact. This year there were almost 200 applicants for the award. The Retailer of the Year contest is sponsored this year by World Wide Pet Industry Assn., the oldest pet industry trade association and sponsor of the annual SuperZoo trade show in Las Vegas. © 2019 birdStuff™ is the Registered Trademark of Garrouzoo Inc.